MUMBAI: Arjun Kanungo says there was a time when no radio or TV station was eager to play his single Baaki Baatein Peene Baad. But things have changed since then. The singer says "non-film music" has becomes mainstream now. "I've done playback before I did non-film. I choose non-film because I think it's the future (and the present)," Kanungo told IANS in an email. "In 2015, when I started with Baaki Baatein Peene Baad, no TV stations and radio channels wanted to promote non-film music. Now, everyone wants non-film music. All the TV channels and radio stations support my work. Non-film music is now mainstream," added the singer, who has released Aaya Na Tu with Pakistani singer Momina Mustehsan. The Fursat singer says every challenge in his journey in the music world was interesting. "Nothing has ever discouraged (me). In fact, it has just made me want to work harder and better. But challenges make you do your best. And that feeling of doing your best and succeeding is the best feeling in the world," he said. Kanungo considers each of single as his child. "Every single I've made, I've put my heart into. They are like my children. When you are making a single, you not only have to be clear about what you want to say. More than that, it has to be honest and come from personal experience." His latest single Aaya Na Tu -- a mid-tempo ballad -- captures the emotion of being left behind in love. Composed by Arjun and written by Kunaal Vermaa, the song addresses rejection, pain and the burden of true love. "It's also ultimately about hope," said. He says he had fun working with Mustehsan. "She is a lovely person. I think she is a really good artiste and very easy to work with. I am in love with her Coke Studio work and I'm very happy with what we've achieved together." Arjun doesn't agree with the calls to put a temporary ban on Pakistani talent working in the Hindi film industry. He asks: "Art has to be beyond everything. Otherwise what's the point of art?" "I think art has to be beyond that. Art can only bring people together. As an artist, I only care about how best I can make a song," added the Gallan Tipsiyaan hitmaker. He has featured in his music videos. So, what about getting into acting? "I plan to, but I will speak more about this in a month or two," he added. "For the next two weeks, I will be promoting this song and then moving onto my next song. I'm also doing some Bollywood work which will be announced soon." MUMBAI: It’s no surprise that handsome hunk Arjun Kanungo has always donned his stylish outfits. His perfect combination when it comes to choosing the right shade for his look is what he is known for. MUMBAI: Multi-talented singer, radio jockey and song writer, Ved Sharma’s second single, Mirzaye is out. Released under VYRL Originals, this romantic number is about the essence of falling in love and how one can surprise their lover! 'Duniyaa' song from 'Luka Chuppi' will give you couple goals! MUMBAI: The newest song, Duniyaa is surely going to melt your heart on seeing the jodi of Kartik Aryan and Kriti Sanon together, who are also lead actors of the movie Luka Chuppi. 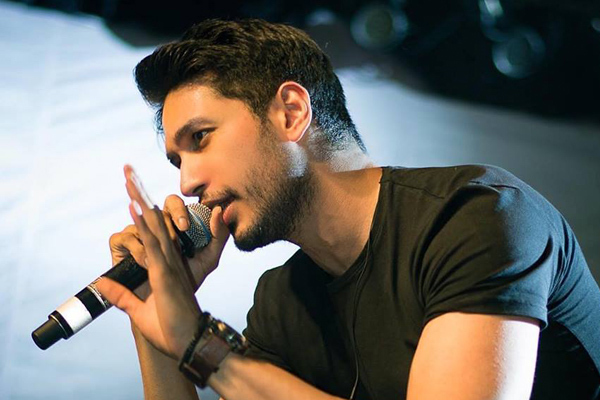 MUMBAI: Arjun Kanungo says singers and artistes deserve screen space and should be the face of their own songs.Kanungo has featured in his own music videos like Baaki Baatein Peene Baad, Gallan Tipsiyaan and Aaya Na Tu.